On Friday, April 17, Imagine!’s Out & About department is hosting its Centre Stage Kids Style Performance 2015: Anansi and the Moss Covered Rock. The play is based on a popular African Folk Tale series Anansi Stories. What does this have to do with technology, you might ask? Well, one of the performers, Jordyn, will use her computerized communication device to recite her lines. Check out the short (one minute) video below to see her in action. Once the device is open and ready for her to perform, Jordyn can automatically advance the device to her next line just by looking at it. When Jordyn looks at the screen you will see a red dot form. If she looks at it long enough, which isn't very long, the red spot will become a red dot. This means that she has selected that button and it will perform the auctions associated with it. Each of Jordyn's lines has a different picture from the previous one so she (and staff members) can be sure she is set for her next line. This is a simple but very profound way that technology opens doors for individuals with a variety of disabilities to demonstrate their creativity and artistic talents. By the way, while this theatre program is already moving forward, Out & About has started a crowdfunding campaign to make sure they have the funds to make it as successful as possible. Please consider helping to support this creative and exciting project. Check out the following video below to learn more, then click here if you would like to donate to this campaign. Today, I’d like to acknowledge Wings Over the Rockies Air and Space Museum. Wings Over the Rockies is a regular destination point for both adult and school aged Out & About groups, and it is always a huge hit! The staff is always kind and accommodating as well. Thank you, Wings Over the Rockies, for your commitment to your community and all of its members! You may have heard, and you will likely hear more, about an issue that directly effects people who have intellectual and developmental disabilities (I/DD), Imagine! 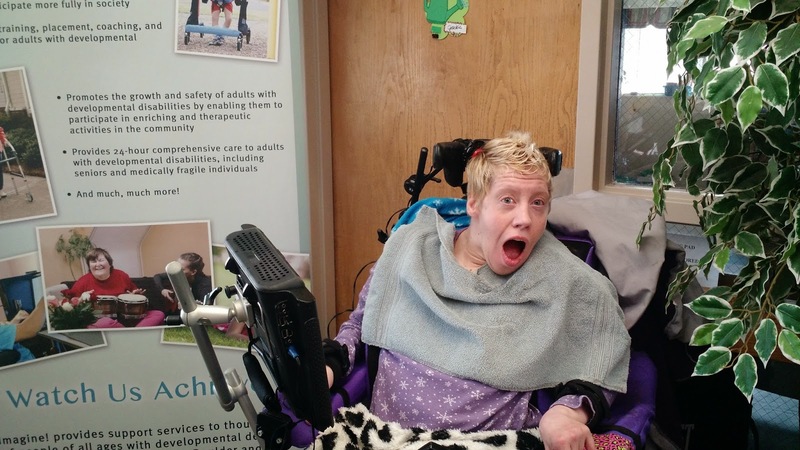 and the entire system of services in Colorado for people with I/DD. The issue is Conflict Free Case Management. Interpretations of this rule suggest that in Colorado, where by statute organizations that perform the Community Centered Board function as a case management agency, and also provide HCBS services, will no longer be allowed to do both. This could impact services in many ways, and not all of them may be positive. So I’ve decided to bring back a couple of my favorite characters to discuss some possible unintended consequences that I believe should be considered before making any final decisions as to how our service delivery system should be organized moving forward. Today, they will talk about the potential loss of local values, accountability, controls, and responsibility that are embedded in the current system. Imagine! is partnering with the University of Wyoming (Go Pokes!!!) to create assistive technology for individuals we serve. Here’s one project that is almost complete - an Assistive Technology Robot Arm and Wrist Support! The overall goal of this project was to engineer and design a system that is integrated into an existing powered wheelchair frame such that a client would have adjustable wrist support with their control hand, as well as one-touch control of a motorized robot arm capable of moving the client’s communication device in and out of their line of sight. The robot arm has the capability of holding a communication device and the ability to retract to a position that does not interfere with the client’s ability to operate the wheelchair. The arm was made for Gerald, who lives in Imagine!’s Santa Fe Group Home. 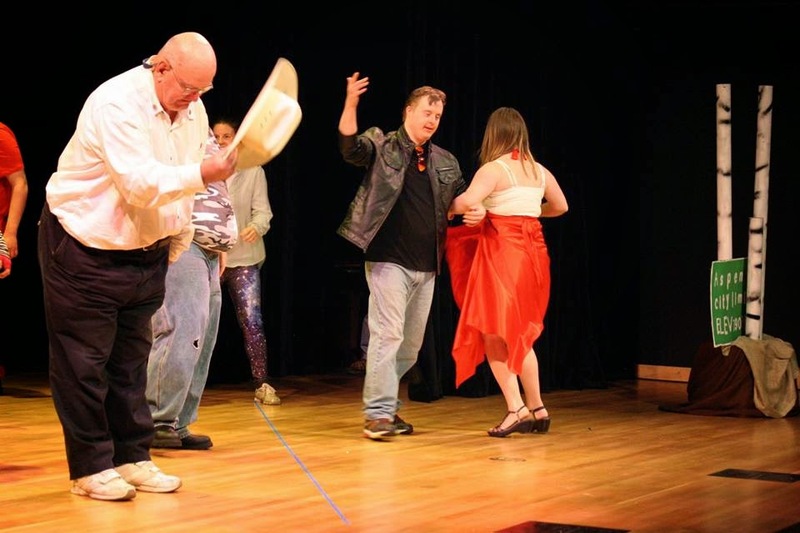 I’ve told you several times about Imagine!’s Out & About department’s Centre Stage program for adults with developmental and intellectual disabilities (like here and here and here and here). Well, the program has been so successful with adult participants in Out & About that the ambitious staff members there decided to create a Centre Stage program for school aged kids. The program is already moving forward, but they’ve started a crowdfunding campaign to make sure they have the funds to make it as successful as possible. So today I’d like to ask you to consider helping to support this creative and exciting project. Check out the video below to learn more, then click here if you would like to donate to this campaign. Even if you choose not to donate to this campaign, you can still support these talented kids by attending their performance, scheduled for April 17, at 7:00 PM, at Centaurus High School, located at 10300 S Boulder Rd, Lafayette, CO. Admission is free, though donations are encouraged. Today, I’d like to acknowledge Calvary Bible Church for its support of Out & About. Calvary Bible Church has been a staple in the success of Out & About for many years. Out & About’s Summer Camp has utilized Calvary Bible Church for the past eight years as a base site where they have been able to use one for their classrooms as a place for pick-ups and drop-offs for the kids and a place of play for an hour in the morning and afternoon all through the summer. O & A has also been able to use Calvary Bible Church for its adult programs, including the always popular “Kitchen Fun” class. Thank you, Calvary Bible Church, for your support of your community and all of its members. There isn’t a whole lot of turnover at the top level of Imagine!’s administrative team. We have people who have worked for Imagine! for decades and have served and supervisors, managers, and administrators for almost as long. That is a good thing, but it is nice occasionally to have someone new join Imagine!’s leadership group because they always bring a fresh perspective. This happened recently when Karen Kalis joined Imagine!’s administrative team as our new Director of Human Resources. Now, Karen is a longtime Imagine! employee, but new to this role, and has been great at asking tough questions and trying to figure out how the administrative team works together and what makes us tick. Her questions are always welcome, because they serve as a reminder to me as to why we do things certain ways, and why I think some of the ways we do things are extremely valuable to the organization and the community we serve. One of the things Karen and I discussed recently was Imagine!’s leadership structure – kind of a “who reports to whom?” conversation. Our leadership structure is fairly flat at the top. There is the CEO (me) and then a group of Directors who oversee the various functions at Imagine!. I believe this fosters a great sense of cooperation and teamwork among the Directors, while at the same time giving them ownership and accountability of their own area of responsibility. But, as Karen pointed out to me, it also opens the door to some areas where who is in charge of a particular project or program is kind of fuzzy or dare I say muddy– areas that don’t neatly lie under the specific supervision of any one particular Director. I like to refer to these as “pig pile projects.” People tend to pile on projects because of interests and talents. Some of the pens we play in have varying kinds of dirt and mud making demands on people who thrive better in certain types of dirt and mud. The projects at Imagine! that lie in these pens are numerous, and I believe strongly that as an organization we have developed very positive habits around tackling and piling on projects in teams of administrators and others with overlapping responsibilities. It is rare that you will hear someone say “that’s not my job” when a new challenge needs to be addressed. 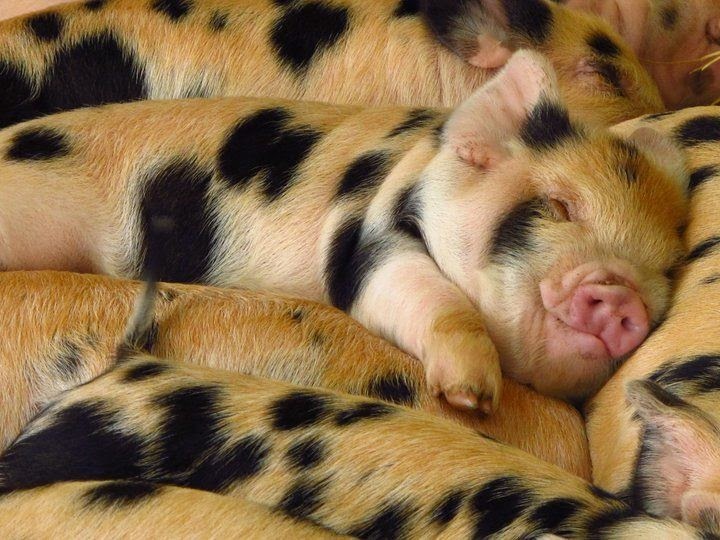 Instead, people pile on and offer input, volunteer to help out, and dive in right away to tackle the issue irrespective of whether or not it lays within their identified job duties; thus the pig pile project management style. This keeps the kid in all of us; sometimes checking one’s ego – even if one person is technically “in charge” of a project, that leader isn’t always the only decision maker in the process and must sometime acquiesce to group decisions. These habits of working together as a team in the muddy pens at Imagine! have proven over and over to be beneficial for our organization as we face tasks that perhaps no one person has the experience or knowledge to meet single-handedly. The group knowledge (and willingness to share that knowledge) almost always leads to better decision making and consequently, better results. Great minds don’t always think alike, but if they are willing to pile on and work together and find the common ground in their thinking we can achieve great things. This system and framework for addressing issues I just described isn’t perfect. It can get messy. Sometimes you have to strike a balance between too much freedom and cooperation and just saying “this is what needs to be done” and telling someone to pile on and do it. I say that not just in my case as CEO but for all of our Directors. But I think the approach is on the whole quite effective, and it is certainly fairly unique in our field. I am honored to work alongside a group of leaders who have built a team committed to quality and cooperation when it comes to facing our biggest challenges while having fun in effective pig piles. I wouldn’t have it any other way. A little while ago, we let you know that students of Sri Kurniawan, Associate Professor at the Baskin School of Engineering at the University of California Santa Cruz (UCSC), are collaborating with Imagine! by having some of her students help to create apps for Imagine! clients as part of a student project. This is Imagine!’s second app development project with UCSC. Go Banana Slugs!! Today, we’d like to share a video demonstrating the apps in more detail. The Virginia W. Hill Foundation recently awarded Imagine! a $10,000 grant for Community Calendar Activities for kids enrolled in Imagine!’s Dayspring program. This is the Foundation's fourth grant to Imagine! in as many years, bringing the total to $28,000. The Virginia W. Hill Foundation, managed by Wells Fargo, was established by the late Virginia Hill, a noted Denver philanthropist. Mrs. Hill was known in her lifetime for her charitable giving to better the lives of people living in the American West. She was, for example, a major donor in the early 1960's to the restoration of Ft. Laramie. In recent years, Mrs. Hill's Foundation has contributed significantly to improving the health—especially the mental health—of people living in the Denver Metropolitan area. Imagine!’s Dayspring Educational and Therapeutic Services offer occupational, physical, and speech/language therapies to babies and toddlers with developmental delays and disabilities in their homes. Dayspring’s Community Calendar Activities (CCA) program – now in its 15th year – is a valuable expansion of the early intervention therapies provided by the division. CCA brings children aged birth to three with developmental delays into a variety of recreational, educational, and fitness activities, free of charge. Dayspring’s Pediatric Occupational Therapist, Early Childhood Special Educator, Speech Therapist, and/or Mental Health Therapist work with the children and their parents to encourage motor, sensory, social/emotional, cognitive, and/or speech/language development. CCA helps parents overcome the emotional and financial obstacles that might prevent them from accessing the variety of environments and activities so important to their children’s development during this crucial time. In addition, it provides important opportunities for parents to meet, interact with, and support one another. This very special program is completely funded with donations -- from individuals, foundations, and local service organizations, which is why we are so thankful to the Virginia Hill Foundation and all of the supporters of CCA. Below are some scenes from CCA’s “Messy Play Day,” an annual favorite featuring sensory fun for the entire family. 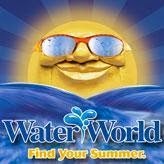 Today, I’d like to acknowledge Water World for its support of Out & About. For several years, Water World has hosted participants in Out & About’s Catalog program. They have provided complimentary Instructor tickets as well as excellent customer service. And of course, everyone has a great time! Thank you, Water World, for your support of your community and all of its members. Ending Waitlists in Colorado/Growth at Imagine! In the short video below, Imagine! Bob and Judy Charles SmartHome resident Johnny and Site Supervisor Shannon share how they are using an iPad app to overcome language barriers and communicate effectively. 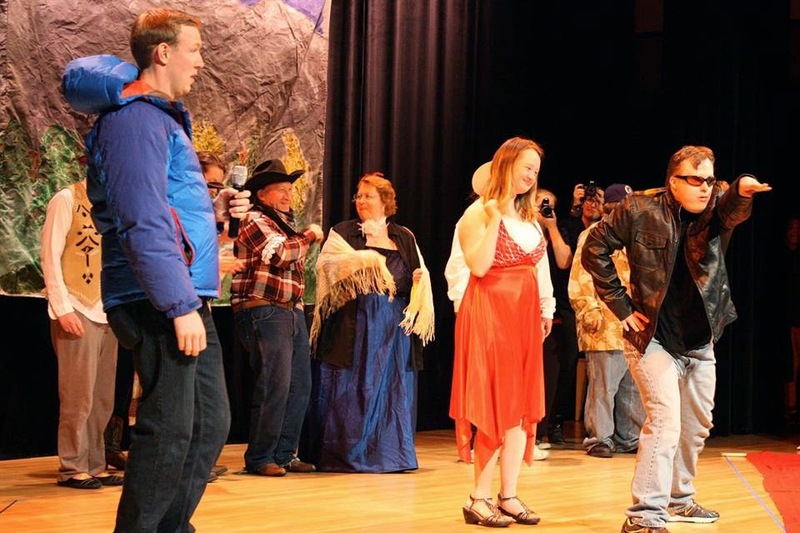 Last Friday evening, attendees at Broomfield Auditorium were treated to an original play entitled “Colorado Time Travel Adventure.” The play was written, produced, and acted by participants in Imagine!’s Out & About program’s Centre Stage Class. 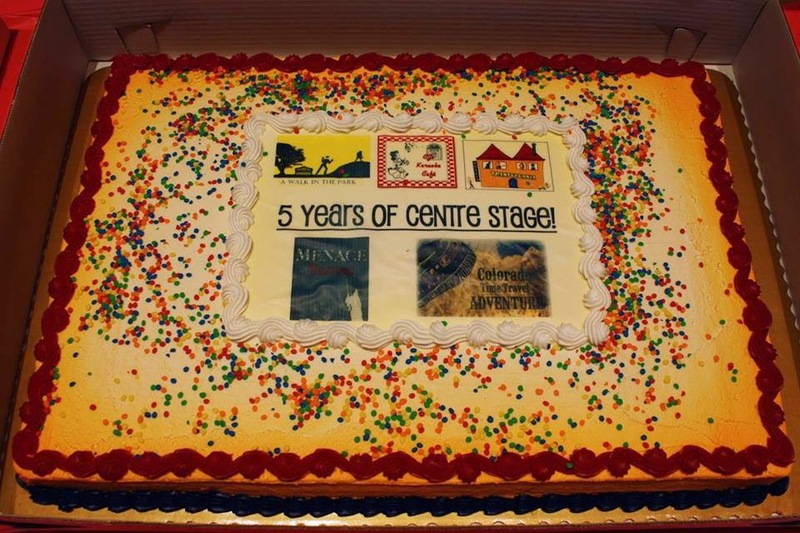 This year marks the fifth anniversary for Centre Stage, and it has proven to be immensely popular. Here’s how it works: participants start with brainstorming plot and character ideas in December. The ideas and creativity and hard work that follow culminate in a public performance that showcases their original creation and shares all participants’ talents and contributions with the public. 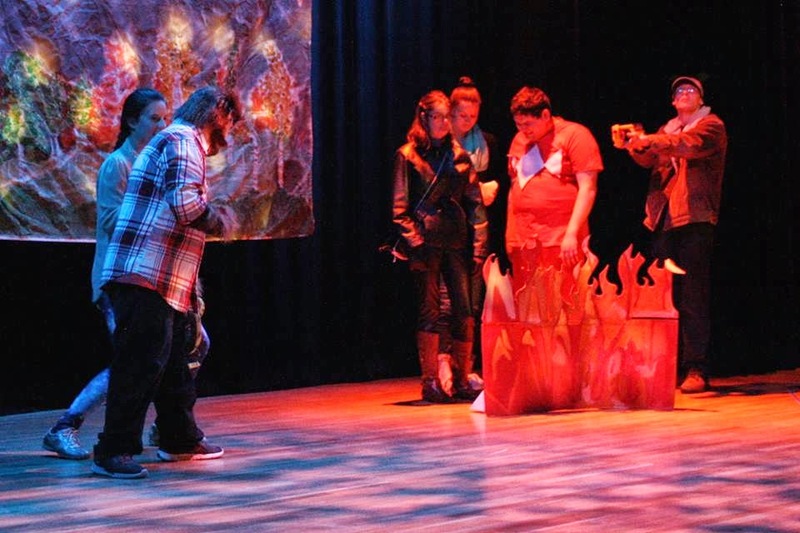 This year, to allow even more individuals to participate in the creative process, Out & About’s Catalog program designed its Creative Expressions class to aid the big production by building the set designs and props. 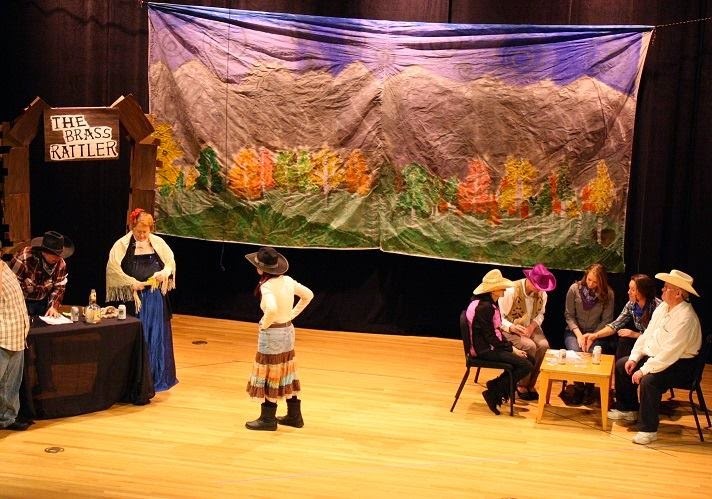 Examples of projects included: spray painting aspen trees, creating an Aspen City Limits sign, cutting out and painting a party bus alien space craft using cardboard, and designing a Maroon Bells landscape as a back drop. The neat thing about this Creative Expressions class is that the participant’s work will be seen by a large audience. They may not appear on stage, but are still “in the play” as their hard work contributes to the big show. “Everyone makes a contribution and it is wonderful to see everyone's creative juices flowing,” said Alexa Trujillo, Out & About instructor. 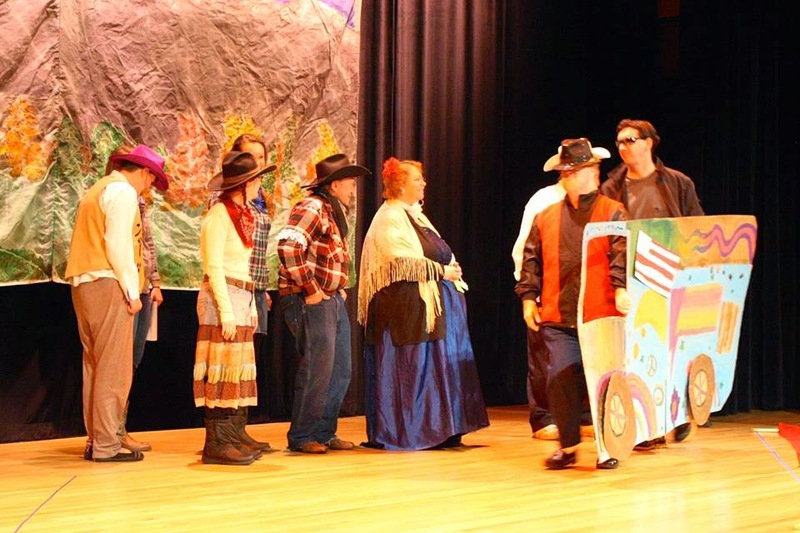 Below are some photos from the play. 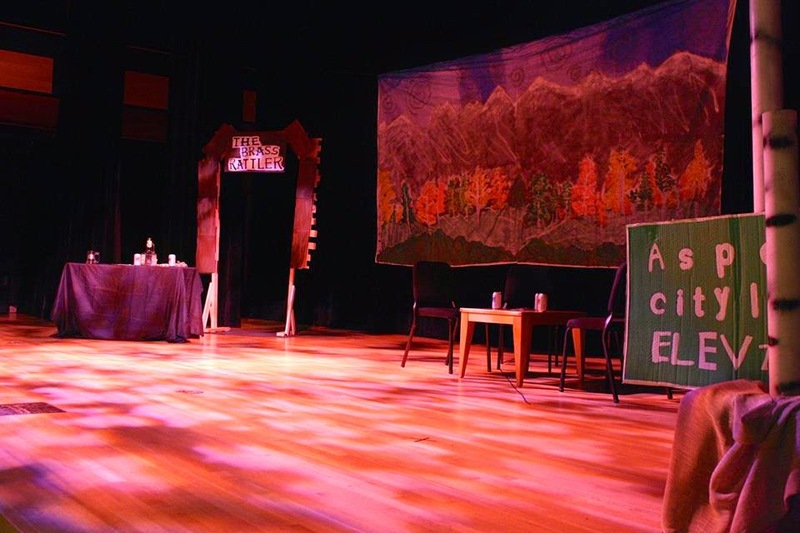 For more information about the play and the participants, you can read this article about the performance that appeared in last week’s “Broomfield Enterprise.” To learn more about the process behind Centre Stage, click here. Today, I’d like to acknowledge Front Range Hippotherapy (FRH) for its support of Out & About. Out & About has gone to FRH its last five Summer Camps. They visit the center in two groups during the summer, so each kiddo gets to ride one time. This is one of the kids’ favorite Summer Camp activities. They have the opportunity to work on core strength, practice fine and gross motor activities on horseback, as well as just be around the amazing horses. If someone chooses not to ride, the staff at FRH gives alternate activities like playing with the cats and dogs in the barn and also petting or just watching the horses. Last summer, one participant even got to hold one of the dogs while she was on horseback! Thank you, Front Range Hippotherapy, for your support of your community and all of its members. 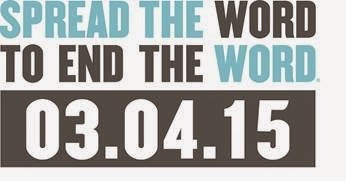 Today is the annual Spread the Word to End the Word Awareness Day. Imagine!’s Innovations Advocacy Council would like to remind everyone that "Respect" starts with the words that we use on a daily basis. The Innovations Advocacy Council understands that it is not always easy to stop using words that have become industry standards, but through the commitment of the people who provide services, the family members, and the individuals in services, a cultural change can occur. Instead of using “consumer” or “client,” use “individuals with disabilities” or “people with disabilities,” or better yet, refer to our individuals simply as people and/or individuals. Instead of using the terminology “high-functioning/low-functioning,” try to explain the parameters of the situation. For example, instead of saying high-functioning, you could say that the person is independent in the community and requires minimal supports. Instead of saying low-functioning, you could say the individual requires additional assistance with daily living tasks. Above all else, we should never use the R-Word. While everyone understands that this is an official diagnosis, there are other ways in which to express the diagnosis such as developmental disability or intellectual disability, and plain and simple, this word is offensive regardless if it is used clinically or not. For further information or to take the pledge, please visit the Spread the Word to End the Word official website. 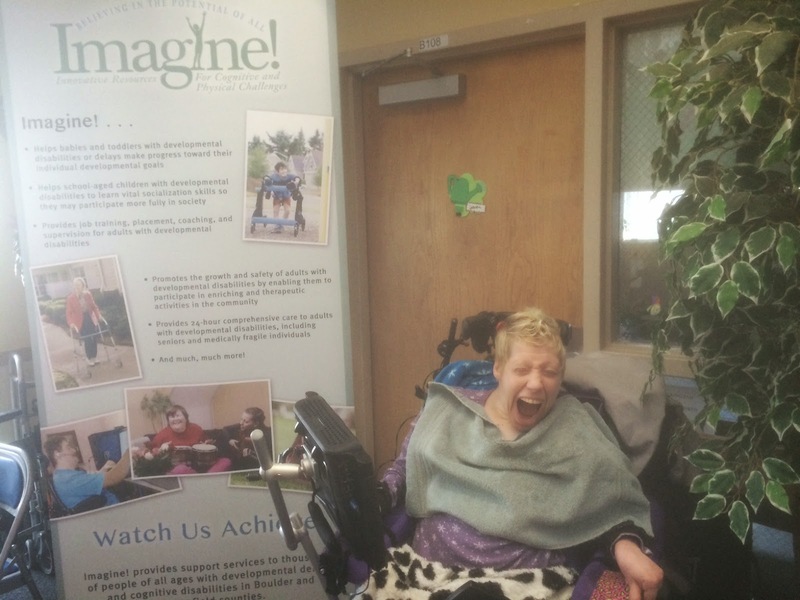 Imagine!’s Dayspring department provides educational and therapeutic services that promote and support children ages birth to three who have developmental delays or disabilities, their families, and the community. Dayspring therapists have long used the latest in technology to help in delivering meaningful and impactful services. Today, they share some online apps that they have found useful in their work. 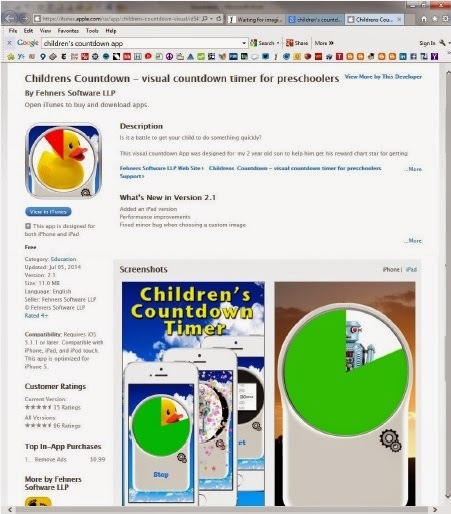 This app helps children learn how to delay gratification. 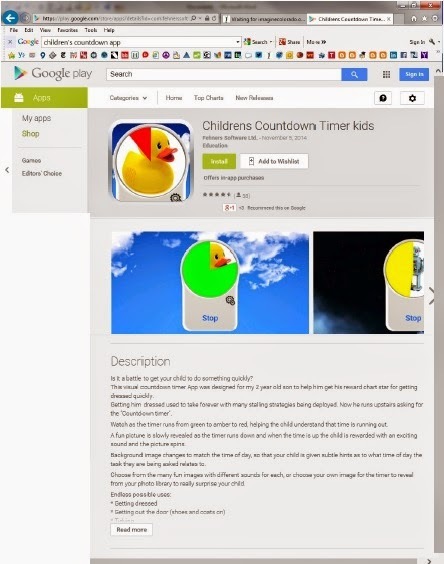 and the Google Play store. 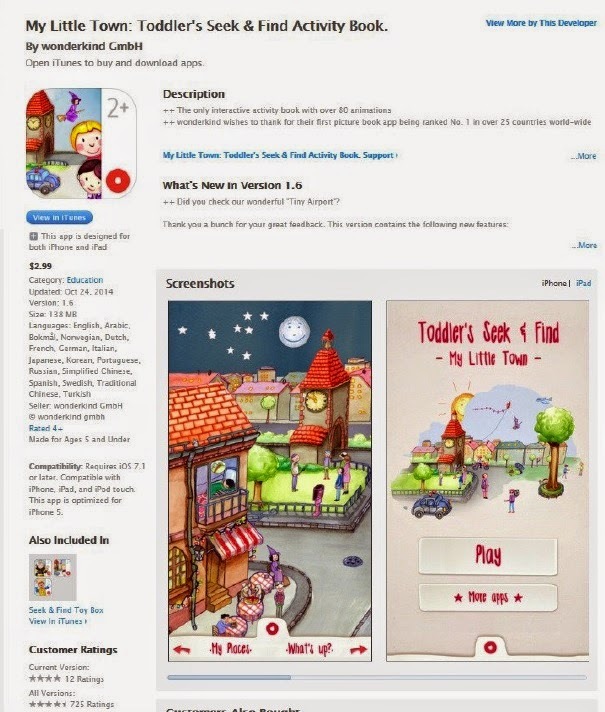 This toddler’s seek and find activity book uses scenes to learn cause and effect, receptive language, and iPad use.